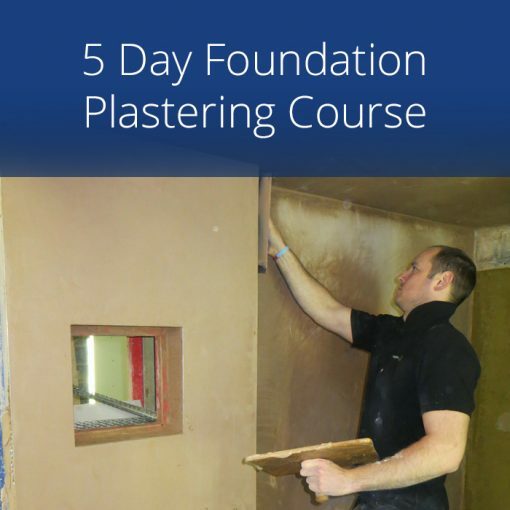 This 5 day foundation plastering course consists of 5 days practical in-house training, taking place at our training centre near Fareham and will teach you all the foundation skills of plastering. 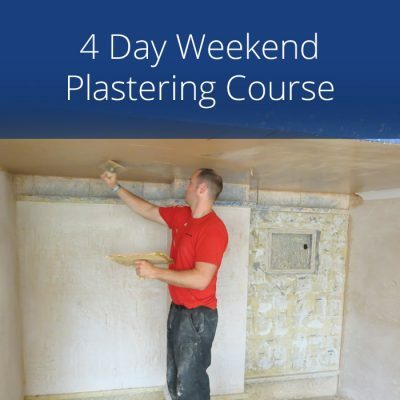 Our 5 Day Plastering Courses are suitable for those with little or no plastering experience. 5 Days, Monday to Friday, 9.00am until 4.30pm. (Doors open 8.30am). This course was a great help as I am in process of house renovations, having zero knowedge about plastering the staff were extremely helpful, freindly and professional in their approach. The facility is an ideal set up offering everything you need to get stuck in. I would have no hesitation in recommending this course for the diy enthusiast. The course was very informative with great demonstrations showing the group all they needed to know before doing the tasks themselves This is likely to be my first steps before signing up for the NVQ level 2 in plastering. I would highly recommend Silver Trowel to others. I had visited other training venues around the London area. But was put off them for so many reasons. Thank you team Silver Trowel for all that I have learnt. The skills and confidence that I have now after just just 5 days makes this course really good value. The instructors are all very knowledgeable and are willing to share this with all the group. Very good modern training facility with all i needed provided. I will be recommending Silver Trowel to others. The teachers performance was great. Found you easily on google. Planning to come back for the bricklaying course. I am one of many from my maintenance company that have attended Silver Trowels training courses. I can see why they have chosen them as a provider. I have learnt some great new skills which will be of benefit to myself and of course my company so its a win win for all. Great training and fantastic modern facilities. What a great start to 2019 Learned some fantastic new skills in plastering for my home project I will be back to Silver Trowel for a tiling course in the near future. Excellent facilities and trainers Thank You Team ST.
Well conducted course with good practical advice, I would recommend Silver Trowel and will return for future courses. Thank you Colin for all your help. Good facilities in a nice location, another string to my bow. Will definitely return for the Bricklaying course. Colin is a great instructor but next time more biscuits please. Excellent course, leaving feeling confident in my ability and feel ready to do more plastering. The course was everything I was looking for to help with the renovation of my house. Great experience, fun and great people. Thank you Colin, keep up the hard work. Really enjoyed the course, Colin is a great tutor, always had time to help everyone and showed us top quality. I have just completed a 5 day plastering course. I am very pleased with the skills and techniques I have learned. Colin the instructor was very helpful throughout. I’m looking forward to tackling some artex soon! This plastering course met all my expectations The instructors performance was excellent The training facility is modern with all the best tools available for everyone to use. No sharing tools at Silver Trowel and thats a fact! The course was great value for money and I would recommend the course to anyone. I am training for a future career and found the course very good, the training facility has everything needed for tasks and I would return for Base Coat Plastering, Rendering and Coving. Friendly, knowledgeable Trainer. Really enjoyable course. Would like to return to do the Rendering course. approachable trainer, very happy to impart his knowledge. Would return for a longer course in future. On the final day students get to put their own ideas into practice what a great way to round off a fun and enjoyable week. This course was definitely good value for money and I now feel confident in my basic bricklaying skills. This plastering course with Silver Trowel totally exceeded my expectations in every way. I now have the new skills that i require and will be improving on them by taking the city and guilds plastering qualifications. An excellent plastering course I cannot fault it in anyway Just brilliant. Back for my City & Guilds course later in the year. May well come back for more training on rendering etc. Great value the training facility is modern light and well stocked with quality tools I would highly recommend that people came to Silver Trowel for their construction courses. 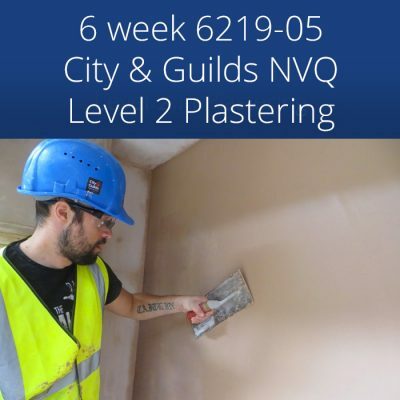 This plastering course fully met my expectations Plus it was great value and I enjoyed my learning experience all of Silver Trowels staff were friendly, knowledgeable, able and competent. I will be recommending their range of courses to others. Strange as it may seem but my partner brought me this plastering course as a birthday gift. I have learnt so much almost my best ever present! My employer paid for this plastering course So as to help me improve on my trowel skills His money was well spent Plus I had a great time at Silver Trowel. I attended this course as part of re training for my current job. I am surprised at how much I have learnt in just 5 days. I have really enjoyed my time here and will be booking onto the bricklaying course. A very well run plastering course Plenty of demo’s plus loads of hands on training to follow.. I completed this course back in April 2016. I was not sure what to expect as I had never used a plastering trowel before. Now I feel I want to continue to improve on my skills learnt at Silver Trowel and to return for the full city and guilds course. Thanks Team Silver Trowel. Clear instruction with a good balance of practical and theory A nice relaxed learning environment I will recommend this course to others. I have previously done the Bricklaying course with Silver Trowel. I saw how well the plastering students were also doing so I booked myself onto this 5 day course. I am going to complete the City and Guilds plastering course also. The trainers are very good I feel I have learnt more than I expected this is an excellent course as an introduction to plastering. The trainers at Silver Trowel are very professional But friendly too The training facilities are great I would recommend this course to others. I really enjoyed my time there…. A family member recommended this plastering course to me. Colin and Chris make quite a team. Quality training from two great guys. Thanks! I would recommend this course to others. I also intend to complete the 5 week city and guilds course. I attended this plastering course as part of a company booking. So as to add another construction skill. This course was brilliant I will be paying for the city and guilds course myself. Looking forward to returning to Silver Trowel. I attended this 5 day plastering course back n June 2015. As a property developer I am now taking advantage of the new skills that I learnt with Silver Trowel. They have a good location plus I really enjoyed the course. The teachers were very informative and helpful I enjoyed this 5 day plastering course I would like to do a longer course to build on what I have learned already. Great value for money Very knowledgeable trainers Who gave great advise and explained every stage of the course clearly. The course has given me the confidence to go on and take their city and guilds course. Thanks Team Silver Trowel. I thought that the trainers performance was very professional Answering all my questions. I would highly recommend Silver Trowel to others wanted to learn new skill’s I plan to return for their bricklaying course. I found this course to be good value for the money. Excellent teachers with loads of knowledge and experiance that they shared with the whole group. The Silver Trowel Trainers were very good at what they do I would recommend them to others. Put simply. 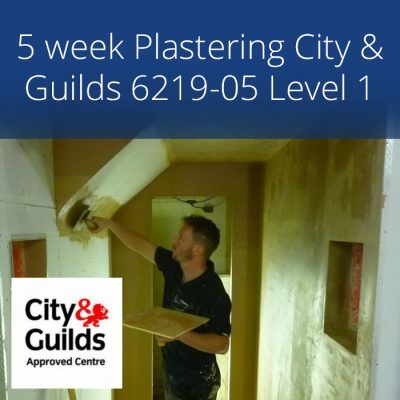 This plastering course was “Spot On” Back for the City & Guilds course in the near future. The Instructors at Silver Trowel really knew their trade. With great demo’s. Teaching at its best. I would recommend this plastering course to other’s. I thought the trainers were very good Helped me throughout I will be back for more.. The instructors were fantastic The training centre was great I found Silver Trowel easily online.. I have enjoyed this course and will return to achieve my city and guilds qualification.. I would recommend Silver Trowel plastering training centre to others.. I also fancy doing their Venetian plaster course.. This plastering course was great value for money I would recommend it to others. I hope to return for the Bricklaying course.. I really enjoyed my time learning new skills at Silver Trowel Their Instructors have a great amount of knowledge. Very helpful throughout.. The Instructors were very helpful answering all the questions that I had. I plan to follow up my plastering skills learnt with Silver Trowels City and Guilds course. Highly recommended.. Simple “Excellent” Fantastic course With great trainers.. I found Silver Trowel easily with a web search The course week was loads of fun and gave me confidence to carry out my own domestic projects..
Great tips given with all my questions answered. I will be back for more courses! The teaching performance was to a high standard with great demo’s The use of quality branded tool’s with a real working environment. I plan to return for the City and guilds plastering course. The instructors gave very clear and informative advise both for the practical training and the theory, I learnt some new and very useful skills and all in just 5 days.. This plastering course was very good value for the money and I learnt more than I had expected too. Thanks to Colin and Chris the plastering instructors. I plan to return for further courses. I came along to this 5 day plastering course in April 2015. It was a very good course and I felt I learnt a lot in just 5 days. I have recommended Silver Trowel to my friends. The Silver Trowel Instructors are excellent teachers, the plastering workshop was ideal. I plan to return for the 5 week city and guilds course. The training facilities are good I would return for other courses and I am happy to recommend Silver Trowel to others. Their courses are also great value for money. 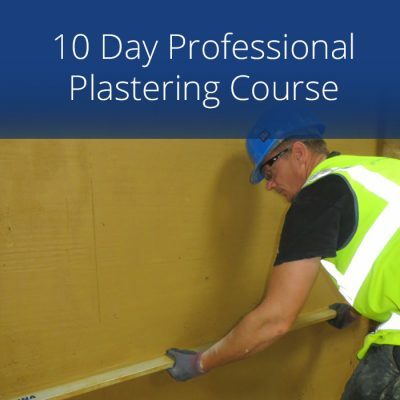 I choose this 5 day plastering course to help improve on my existing plastering technique. I was very impressed by the end of just day 1 to see how I was already learning better skills, after the 5 days I am now very confident in my abilities. Thank you to the team at Silver Trowel. I will be back for your bricklaying course. I went along on this 5 day plastering course as part of a company booking. The instructors were very good and very friendly putting me at ease. I would like to return for their bricklaying course. I have already recommended Silver Trowel to my friends and other work colleagues. My plastering course was booked by my company to give me additional skills as I work for a housing maintenance company. The trainers Colin & Chris are both very professional in the delivery of the course elements. I thought the course was excellent. I really enjoyed this 5 day plastering course. I found the training facilities to be very good as was my trainer. I plan to return for their bricklaying course.